At the Farmington Historical Society and the Museum of Farmington History we have a large, diverse collection of thousands of documents, photos, and artifacts that span many eras and disciplines in North American history and encompass treasures of local, regional, and national value. Not many people know about our collection, but that is going to change. As curator of the Farmington Historical Society and the Museum of Farmington History it is my mission not to simply preserve stories and artifacts for future generations, but to make our history accessible to our citizens. I think it is important to get them excited about our town’s future by learning about our rich past, the determined people of our town, and the many narratives woven into the art, photographs, costumes, tools, and scientific representations in our collection. For history to be relevant in the 21st century the people who learn about history need to connect to it and I think one of the best ways is to bring history to life is by broadening exposure to it in both the physical realm and via various forms of digital recreation . 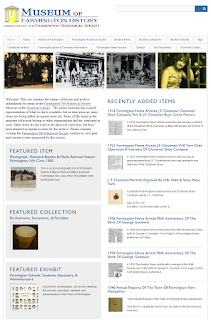 That is one of the reasons I felt it important to develop office hours for the curator, redevelop the Farmington Historical Society website for the social media age, and build an online museum for cataloging and displaying our collections. 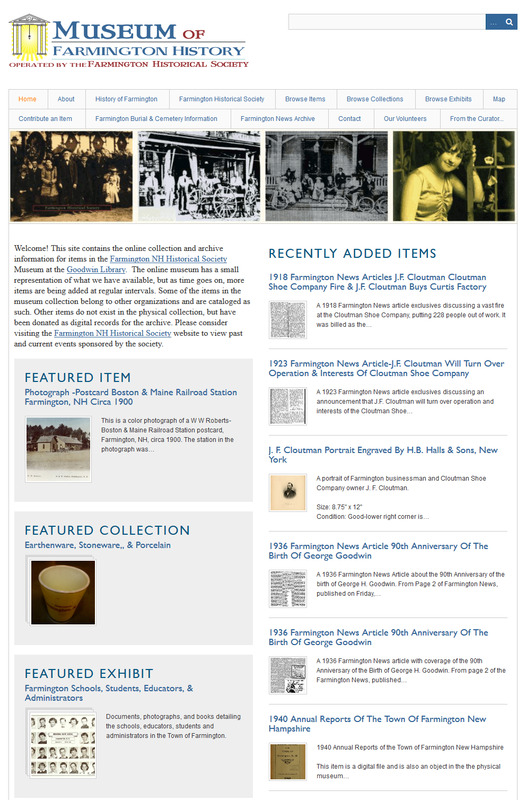 The number of items you can see online now is limited, but that number will only grow as we have time to add items to the online collection. I look forward to taking care of your submissions and future donations and as a proud community member I look forward to hearing and recording your stories. 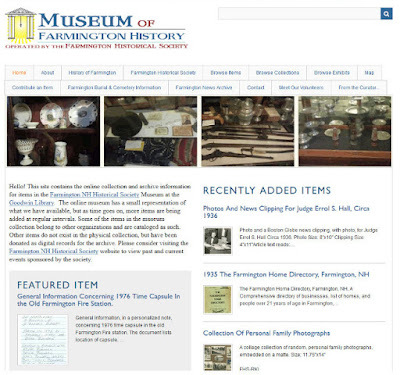 I hope you find inspiration, solace, and perspective from the activities of the Farmington Historical Society and the Museum of Farmington History. I am honored to hold this post and I’ll do my best to respect our past, while helping us focus forward as we move further into the next century.